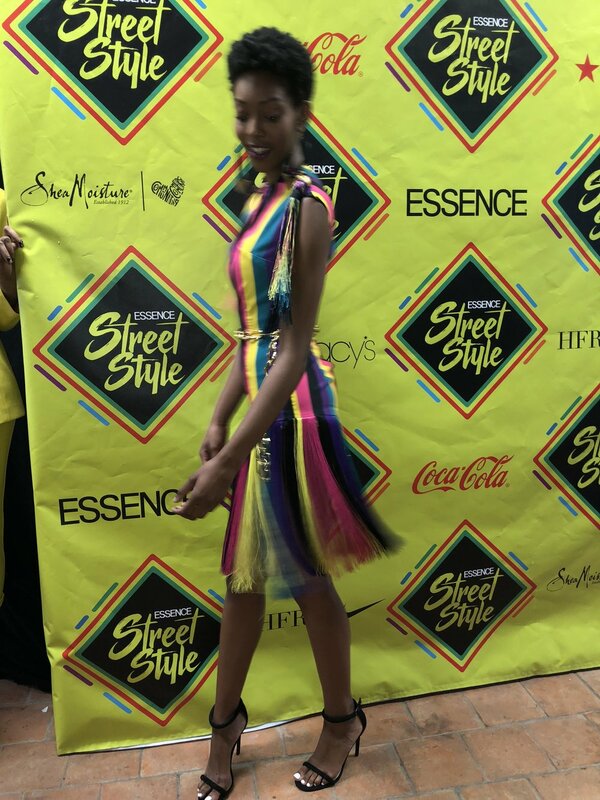 Why the 2018 Essence Magazine Style Style Block Party was EPIC! The FASHION HUNTY!!!!!! This wasn’t my first time attending the street style block party but this was the first year, that I can remember, that it RAINED the entire time. Some would think the rain would discourage folks from dressing past the NINES - Nope! Not black women - we showed up and out even in a rainstorm. I was so inspired by all of it. Catch it all here! Your girl was featured! The HFR installation was so dope! I spent the day meeting so many awesome people who support the Lebron James x HFR collaboration. We gave away a few shoes and my aunt even won a pair. The best part of the day was meeting so many of you and hanging out with my family! I’m still full from all of it. I hope they invite us back next year!